Following the success in 2016 MIP IP Stars Ranking, once again Beijing East IP is ranked as 2017 Tier 2 Firm in China for both trademark contentious and trademark prosecution practices by MIP. BEIP was appointed as the legal service team and provided one-stop professional IP services for the competition. The Canadian Consulate interviewed our professionals on patent and trademark protections in China. Beijing East IP’s experienced patent attorneys present the know-hows of China patent practices and insights into the latest IPR proceeding at the PTAB. Please contact info@beijingeastip.com for your complimentary copy. 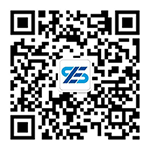 At the beginning of March 2019, BEIJING EAST IP LTD received good news once again. In “2018 Patent Agency Rating Result Notification” issued by Beijing Patent Attorneys Association, BEIJING EAST IP LTD was reelected in the patent agency rating list. After continuous hard work of many years and by virtue of professional ability and careful service concept, BEIJING EAST IP LTD was awarded as AAAAA agency (BEIJING EAST IP LTD was awarded as AAA agency and AAAA agency respectively in the last two rating activities), which shows the overall ability of BEIJING EAST IP LTD in Intellectual Property service fields and reflects high recognition of governments and clients on our business level and service quality. BEIJING EAST IP LTD and Tsinghua University have a long-term relationship. Dr. Lulin GAO, the founder of BEIJING EAST IP LTD, serves as a Visiting Professor and sets up scholarship in Tsinghua University School of Law. Dr. Lulin GAO has three children and all of them received higher education in Tsinghua University. After being founded in 2002, BEIJING EAST IP LTD recruited tens of employees who graduated from Tsinghua University, including Dr. Xiaodong LI, the General Manager of BEIJING EAST IP LTD.
Lin ZHAO and Chris LIU, lawyers from Beijing East IP Law Firm, represented producers and co-producers (referred to as “the film companies”) of the movie When Larry Met Mary recently, and won the first instance lawsuit filed by Shanghai Animation Film Studio (referred to as “Shanghai Animation”), and Shanghai Putuo District People’s Court rejected Shanghai Animation’s claims of copyright infringement and unfair competition. At the beginning of 2019, BEIJING EAST IP LTD/BEIJING EAST IP LAW FIRM received good news once again. 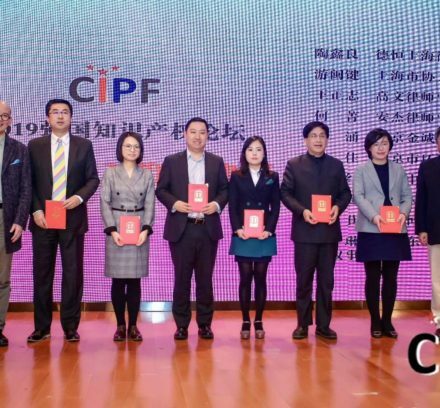 In the activity of “Insight into Trends, Pioneer the Future—2019 China Intellectual Property Forum New Year Sharing Session and Service Industry Awards Ceremony” hosted by China Intellectual Property Forum Organizing Committee and Beijing Power-nation Intellectual Property Institute recently, ZHAO LIN from BEIJING EAST IP LTD/BEIJING EAST IP LAW FIRM won the honor of “Top Ten Internet Lawyers of the Year” by virtue of her excellent achievements. On April 26, the Guangdong Higher People’s Court issued Guidelines for Trial of Dispute Cases Involving Standard Essential Patents (for Trial Implementation) (the “Guidelines”). The Guidelines includes 32 articles and focuses on the following four aspects: 1. General issues regarding standard essential patent (SEP) dispute cases; 2. Issues on civil liability for ceasing implementation of an SEP; 3. Issues for determining SEP license fees; and 4. Issues for anti-trust dispute trial involving SEP.
On February 28, the Beijing IP Court (“IP Court”) issued a decision in Qilu Pharmaceutical v. the PRB ((2017)京73行初字No. 5365), which reversed a ruling by the Patent Reexamination Board (“PRB”) that upholds the validity of Patent No. 200910176994.1 (the “’994 patent”) owned by Beijing Sihuan Pharmaceutical (“Sihuan”). The IP Court holds that the inauthentic experimental data presented in the original description result in the failure to satisfy the enablement requirement. China has three types of patents, i.e., invention, utility model, and design. The utility model patent does not have the counterpart in some other jurisdictions such as the USA, so some essential aspects of the utility model patent will be introduced below for better understanding of it. Can a Markush Claim be Split? On December 20, 2017, in the Patent Reexamination Board of SIPO (PRB) v. Beijing Winsunny Harmony Science & Technology Co., Ltd. ((2016)最高法行再41号), the Supreme Court held that a Markush claim, when drawn to a class of chemical compounds, should be interpreted as a set of Markush elements rather than a set of independent specific compounds. The present case is a petition for retrial filed by the PRB, requesting the Supreme Court to review the second-instance decision made by the Beijing High People’s Court (“High Court”). In reversing the PRB’s decision in the invalidation proceedings instituted by Beijing Winsunny Harmony Science & Technology Co., Ltd. (“Winsunny”), the High Court recognized a Markush claim as claiming a set of parallel technical solutions.